The package and balloons came in great condition and were packaged safely. I even received my package in about day which is much quicker than I thought! It was excellent and comforting getting shipping updates every step along the way. I WILL be ordering from scientific sales from now on. Thank you for your quick response(s) and very timely feedback! Sales rep very helpful in discussing my options. Offered contacts with other customers who used these products. Straightforward ordering and prompt delivery. 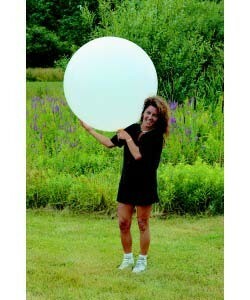 I purchased a weather balloon one evening and typed in the wrong delivery address. When I discovered my mistake, it was too late to edit my purchase. I contacted the company and the change was made and the balloon was delivered on time. Excellent customer service.